Balance Central Star’s own choice for members. First up, in our Budgeting Tools category is Central Star’s own program Balance. Balance offers members certified counselors to speak with, help with managing money and debt, credit report reviews, home purchase counseling, and solutions to prevent identity theft. They also offer three online tools designed to guide you through understanding and maintaining your finances. 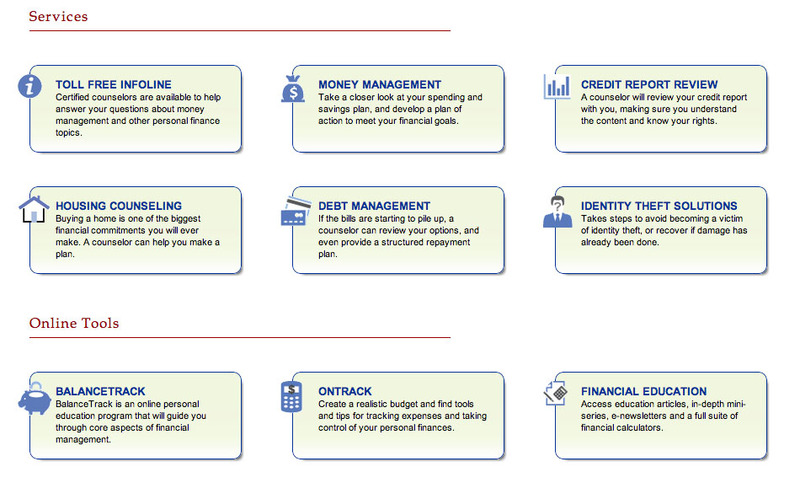 BalanceTrack offers mini financial education courses. OnTrack is an actual budget-making program. Financial Education provides in-depth articles, podcasts, calculators, and other resources to expand your fiscal knowledge. Central Star Credit Union provides all members with free access to Balance and all it has to offer. It is a wonderful resource to help you learn about, construct, and cultivate your new budget plan. Money Matters believes that creating a budget (and sticking to it) can be the most tricky part of budgeting. Once a budget plan has been started everything else gets a little bit easier. We have compiled 10 tips to help you start. 1. Simplicity is key. Keeping the plan simple will help you achieve your goals faster. At the core, a budget is tool used to figure out how to direct your money to the things you find important. 2. It all begins with a goal. An objective, like home-ownership or a new car, can give you the push to maintain the budget. 3. Give yourself a cushion. When calculating how much to save for expenses, choose the largest number you have paid out. For example, use the largest utility bill in recent months as the set deduction. If it ends up being less than you budgeted allocate that money elsewhere. Chances are it will not be higher since you used the highest bill as the standard. Remember to add in emergencies and extras as well. 4. Pay yourself. A good rule to follow is 90/10. 90% of your take-home income should go to expenses and 10% should be saved. 5. Understand and use a budgeting tool. Mint.com is a current and reliable money management website. Central Star’s own Balance Program is a great resource. Even something as simple as the envelope system can work. 6. Follow what works for you. Creating and maintaining a budget is very personal. What might work for others, might not work for you. It is vital to find something that works with your personality, not against it. 7. Find the losses. Where is money being lost? Discover the expense that is a money drain and correct it. 8. Use the right categories. All budget programs have default categories, if they do not work for you construct your own. 9. Making mistakes is natural. If you overestimate the money coming in and underestimate the money going out reevaluate and adjust it. Adjusting as you go will help you to run your budget more smoothly in the long run. 10. Stay with it. Just like any new habit, money management can be hard to stick to. But if you stay with it and push through the hard times your rewards will be great. Be flexible. Do not let a wonderful (and possibly profitable) opportunity pass because your budget is too rigid. It is ok to stretch the budget at times to accomodate time-sensitive expenses. Just be wise and not make it a regular thing. Add in fun money. Failure is guaranteed if you do not have money set aside for entertainment. Frugal Fatigue is real. Be careful, so that you can avoid feeling burnt out on doing a budget. Too much worrying can cause you to splurge or stop the budget altogether.